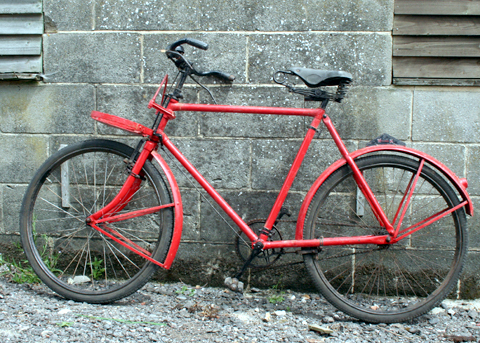 I have a separate website devoted to John Warrick & Co, the manufacturer of this bicycle. 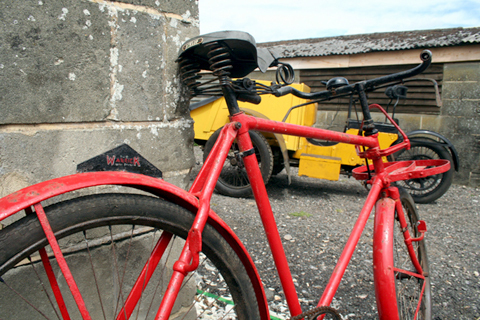 Though most folks know of the Walls Ice Cream box tricycle, it is not generally known that the same company was a large-scale manufacturer of two-wheeled delivery cycles. 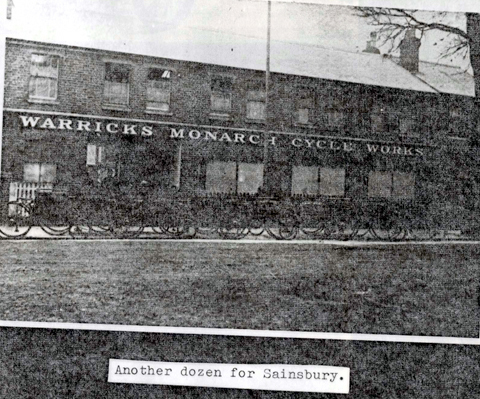 The Monarch tradesman’s bike was made to order for specific companies and trades. 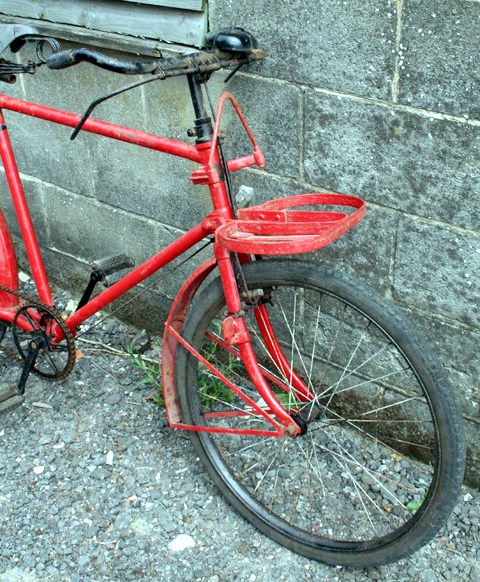 This one has an interesting front carrier frame. I’d like to find out what type of carrier was fitted to it. 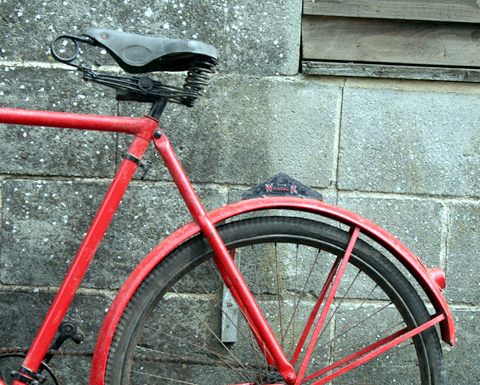 The company logo is unusually a very distinctive plaque fitted to the rear mudguard. 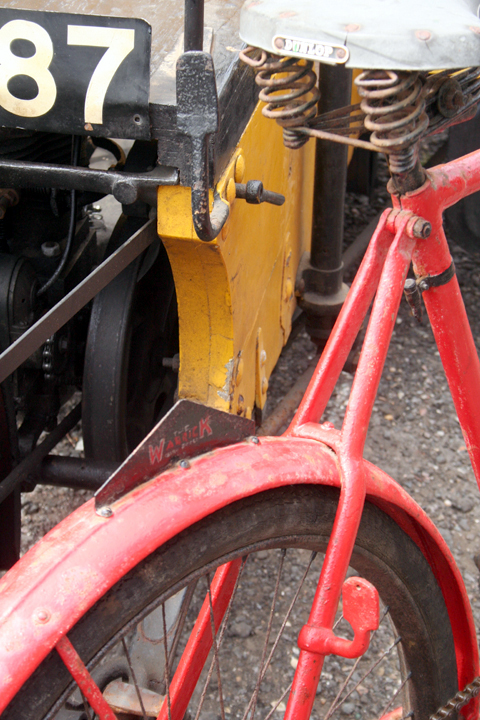 These cycles feature similar lamp mountings to the Motor Carrier; you can compare them in the picture below. 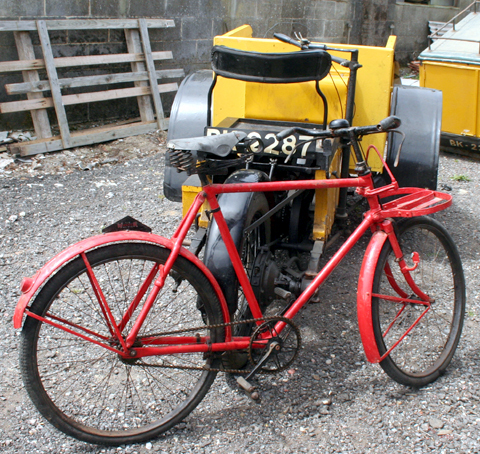 I think my Warrick tradesman’s bike is probably a 1920’s model. 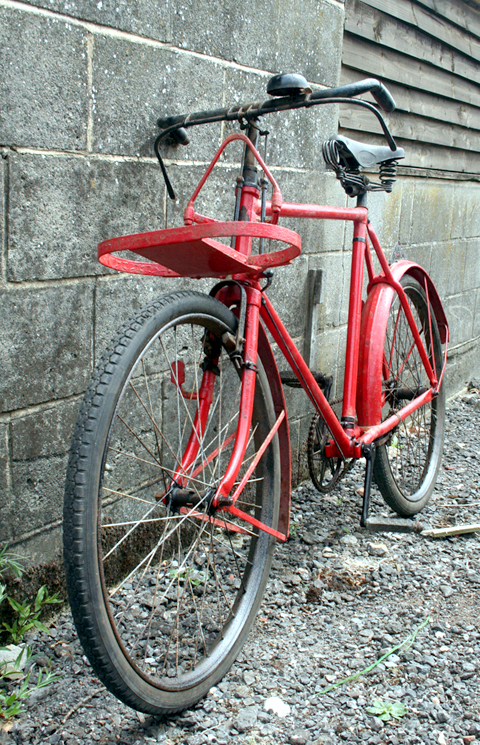 Its frame number is 15020. 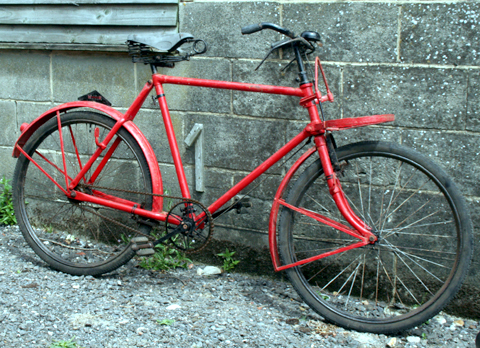 It is hand-painted red because the previous owner did a display of post office cycles some years ago and decided to add this one too. 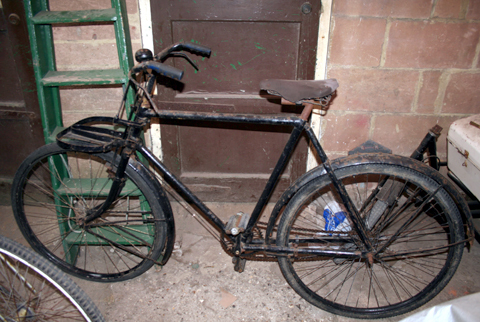 Compare it with my friend Alan’s carrier, below, which is believed to be 1913. 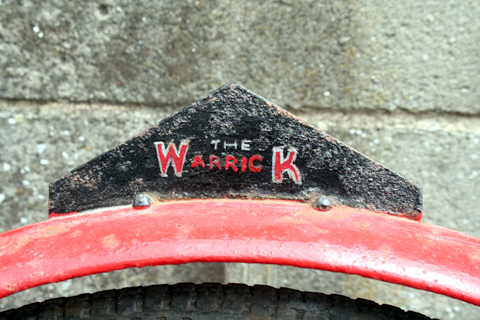 Warrick did not have sole claim to the name, as there was a well-known company in the United States also called Monarch. 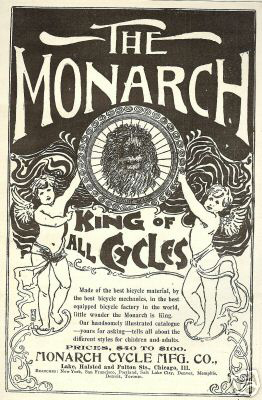 The poster below dates from 1896. Is the best tonic for the busy businessman. 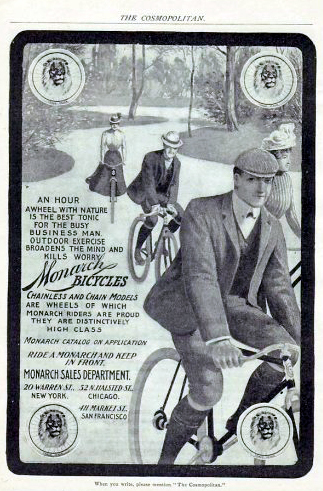 The advertising campaigns of the American Monarch company were quite distinctive. 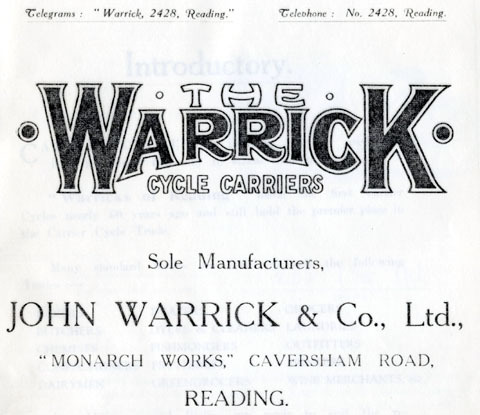 While not the only US bicycle company to promote their products in such a brash way, surely John Warrick would have known about them? 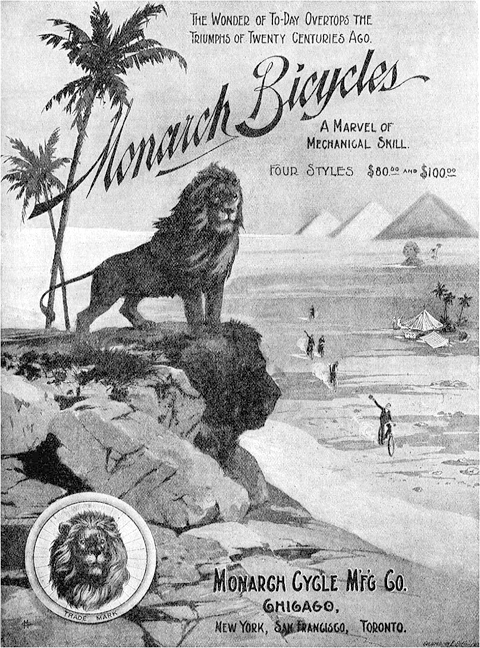 British advertising was obviously very much more sedate, but I’m sure it must have influenced his own promotional campaigns for the British market.